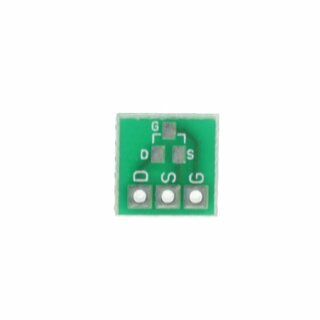 Small pcb to use FET transistors in SOT23 factor with 3 pin strip on normal pcbs. 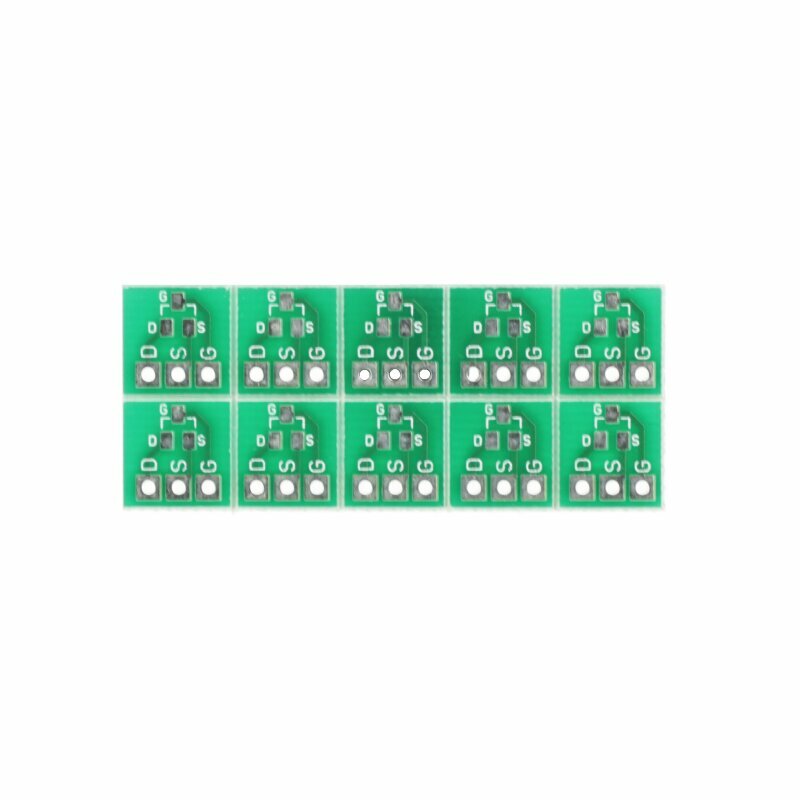 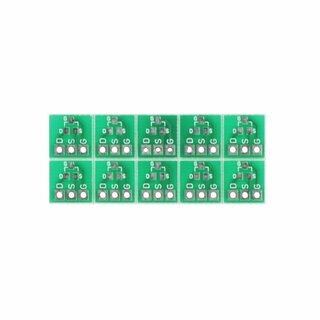 This gives you the advantage of using the good available SMD versions of the FETs (reliable and good price), without changing the Layout of your pcb or perfboard. 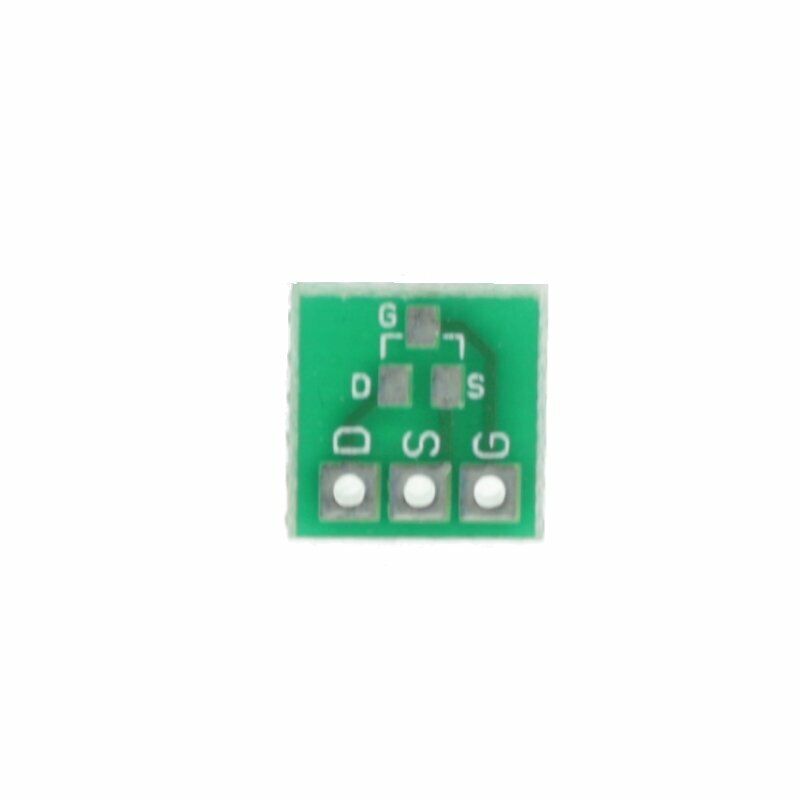 The adapter pcb is 2-sided, one side is DGS, the other SGD (related to the SOT23, middle pin facing up). 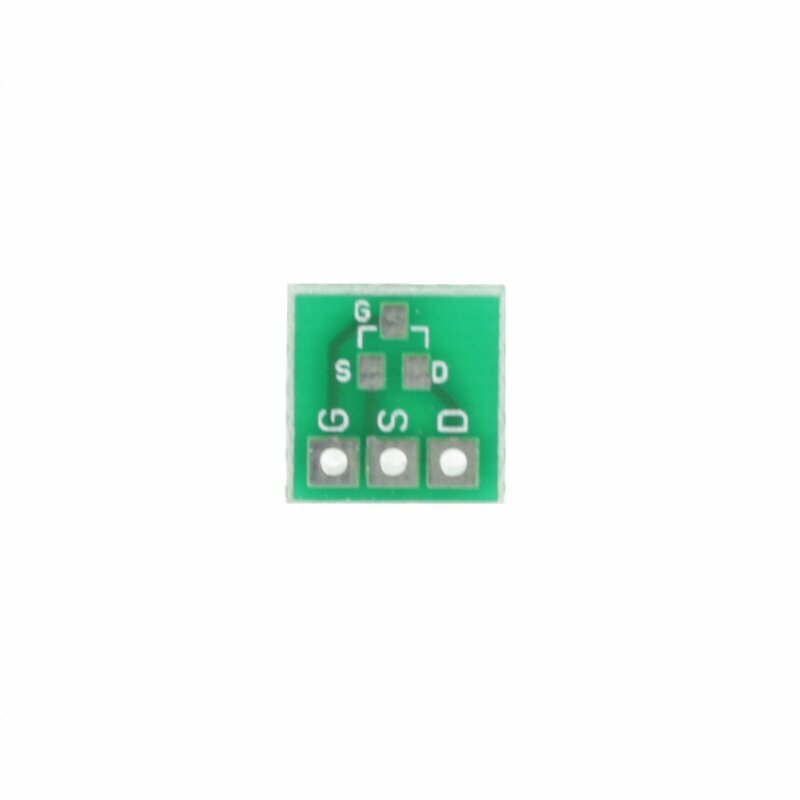 The pcbs are also very small, they won´t be higher than using conventional TO92 transistors. 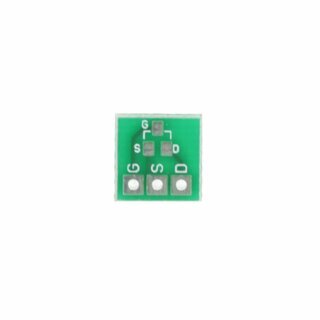 Of course you can also solder silicon SMD transistors, you just have to think of the different labeling.